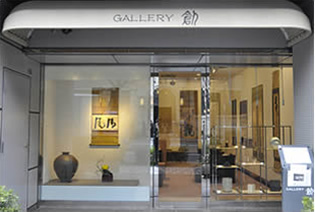 Gallery So（創） is in Kyoto, Japan. Featuring a fine selection of antique and art object including Japanese, Korean and Southeast Asian. The hanging scroll page "Lobster" has been updated. The hanging scroll page "Raigo-zu (image of the descent of Amida Buddha)" has been updated. The hanging scroll page "Heron on the Oar" by Soga Shohaku has been updated. 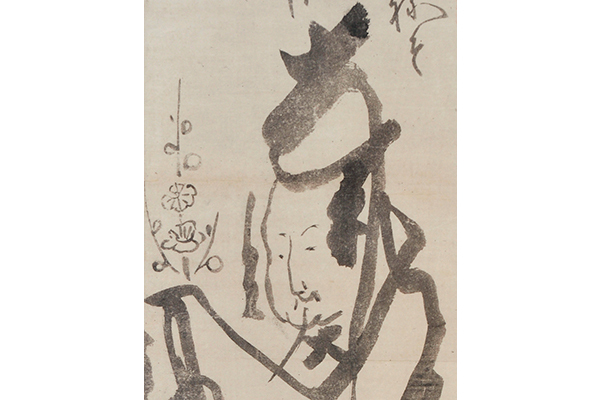 The hanging scroll page "Drunken Zhong Kui" by Sengai Gibon has been updated. 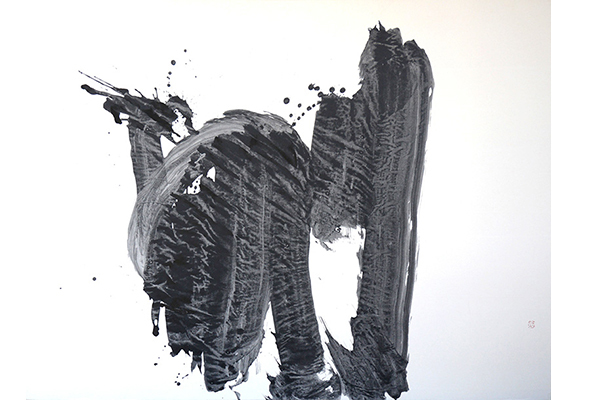 The hanging scroll page "Bull" by Sengai Gibon has been updated. The hanging scroll page "Monks practicing Takuhatsu" by Nakahara Nantenbou" has been updated. The hanging scroll page "Hanshan" by Ito Jakuchu has been updated. The hanging scroll page "Cactus" by Ito Jakuchu has been updated. The hanging scroll page "A Carp Passing through a Gate" by Maruyama Okyo has been updated. The hanging scroll page ("｢美人図｣(A beauty) by Takehisa Yumeji") has been updated. The hanging scroll page ("｢白河院切五行｣(Five Lines Sutra by Emperor Shirakawa) by Emperor Shirakawa") has been updated. 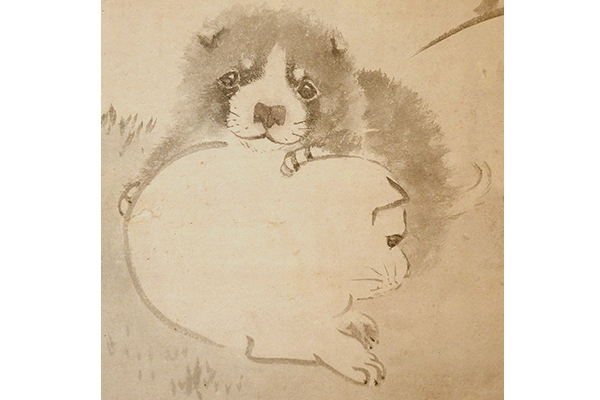 The hanging scroll page ("｢布袋指天｣(Hotei Points the sky) by Hakuin Ekaku") has been updated. The hanging scroll page ("｢水野勝成宛消息｣(A message to Mizuno Katsunari) by Date Masamune") has been updated. 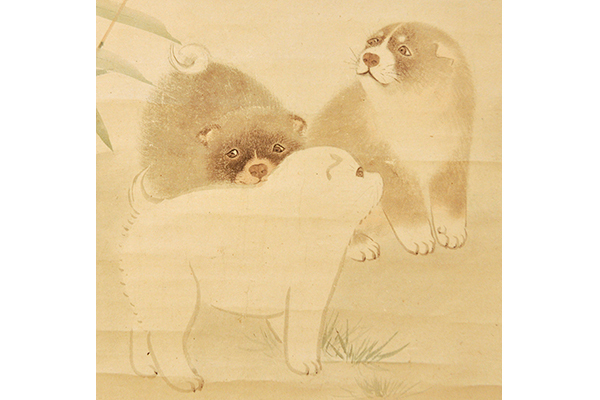 The hanging scroll page ("｢瀑下遊鹿｣(Deer under the waterfall) by Maruyama Okyo") has been updated. The hanging scroll page ("｢払子図画賛｣(Hossu (a priest’s horsehair flapper) with Poem) by Ito Jakuchu") has been updated. The hanging scroll page ("｢天神社図｣(Ten Shrine) by Hakuin Ekaku") has been updated. The hanging scroll page ("｢鷹図｣(Eagle(a pair of hanging rolls)) by Soga Nichokuan") has been updated. The hanging scroll page ("｢鬼に念仏｣(Praying to Ghost) ") has been updated. 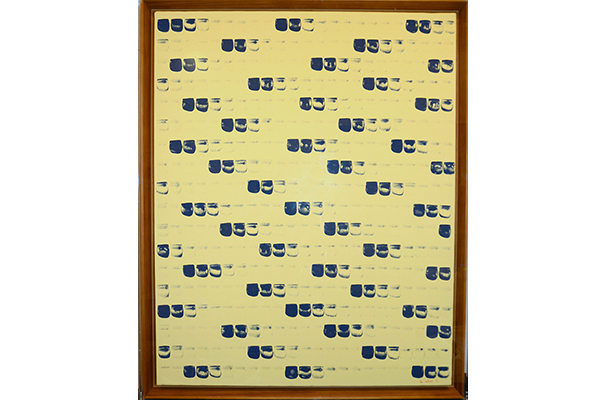 The folding screen page ("｢黄石公・張良図｣(Kosekiko and Choryo”) by Kaiho Yusetsu") has been updated. The hanging scroll page ("｢山水図｣(Landscapes) by Yosa Buson") has been updated. 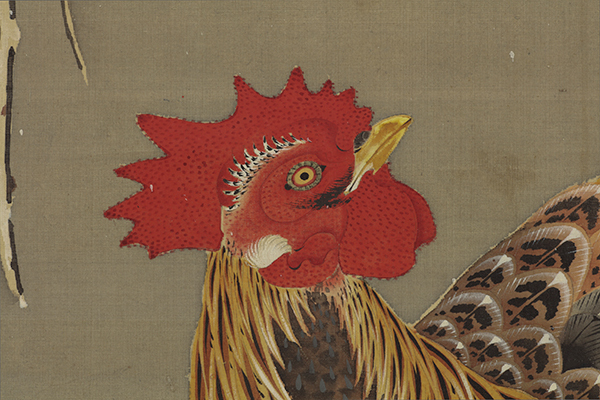 The hanging scroll page ("｢鶏図｣(Fowl) by Ito Jakuchu") has been updated. The folding screen page ("｢竹林七賢・商山四皓図屏風(六曲一双)｣(A pair of six panel folding screen of “Seven Sages of the Bamboo Grove” and “Four hermits in Shozan”) by Kano Tsunenobu") has been updated. The hanging scroll page ("｢双鶴図｣(Pair of cranes) by Ito Jakuchu") has been updated. The hanging scroll page ("｢墨梅図｣(Plum tree) by Ito Jakuchu") has been updated. The hanging scroll page ("｢阿蘭陀人宴会之図｣(Dinner of Netherlanders) by Hayashi Shihei") has been updated. The hanging scroll page ("｢串貝図｣(Kushigaizu/Dried abalone) by Ito Jakuchu") has been updated. The hanging scroll page ("｢里芋図｣(Taro) by Ito Jakuchu") has been updated. The hanging scroll page ("「東下り図」(Azumakudari) by Sakai Doitsu and「梅花雀図」(Plum blossoms and a sparrow) by Nagasawa Rosetsu") has been updated. The others page ("「能面　翁」(‘noh’ mask of old man) by Yoshiyuki,「花咲爺」(The Man who made flowers bloom) by Imai Gaho and 「魚尽くし」（Lots of fish）by Saito Yasuhusa") has been updated. The others page ("「昼食」(Lunch Time) by Suzuki Gyokusho and 「布袋」(Budai) by Takahasi Shinsei") has been updated. The hanging scroll page ("｢春草図｣(Spring Plants) by Suzuki Kiitsu") has been updated. The folding screen page ("｢花鳥図押絵貼屏風｣(Folding screen pasted with pictures of flowers and birds) by Ito Jakuchu") has been updated. The hanging scroll page ("「松浦佐用姫図」(Matsurasayo hime)by Takeuchi Seiho" and "｢東下り図｣(Azumakudari) by Suzuki Kiitsu") has been updated. The hanging scroll page ("「鯉図画賛」(Carp)by Ito Jakuchu") has been updated. The ceramics page ("「雲藍條文花瓶」(Flower vase) by Morino Taimei") has been updated. The hanging scroll page ("「墨竹図」(Bamboos)by Kakutei" and "「墨竹図」(Bull) by Sekiguchi Setsuo") has been updated. The hanging scroll page ("「墨竹図」(Bamboos)by Ikeno Taiga" and "「牛図」(Bull) by Soga Shohaku") has been updated. The hanging scroll page ("「墨竹図」(Bamboos),「文珠図画賛」(Bodhisattva Monju),「栄西禅師（Eisai Zen Master）by Sengai Gibon",and" 「蜆子和尚図」(Kensu Osyo) by Tawaraya Sosetsu and Mokuan Syoto") has been updated. The others page ("「豆蔵布袋」(Mamezou Hotei) by Hakuin Ekaku") has been updated. The others page ("「UNTITLED」by Nasaka Yuko") has been updated. The hanging scroll page ("「楊柳観音図」(The Goddess of Mercy) " has been updated. 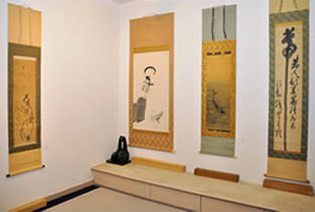 The hanging scroll page ("「墨竹画賛」(Bamboo with Poem) by Ike Taiga" , "「竹に鯉図」(Bamboo and Carp) by Shutotsu" and "「月に墨梅図」(Plum Blossom and the Moon) by Maruyama Okyo") has been updated. The hanging scroll page ("「墨竹図」(Bamboo in ink) by Kaku Tei" , "「雪竹図」(Bamboo covered with snow) by Sekiguchi Setsuou" and "「花鳥図」(Birds and Flowers) by Nagasawa Rosetsu") has been updated. The others page ("「From Point」by LEE U-fan") has been updated. The hanging scroll page ("「菩提樹翳施無畏」(Bodhisattva under a Linden Tree) by Munakata Shiko" , "「月雲図」(Moon screened by Clouds) by Sakai Hoitsu" and "「三福神画賛」(Sanfukujin)) by Sengai Gibon") has been updated.